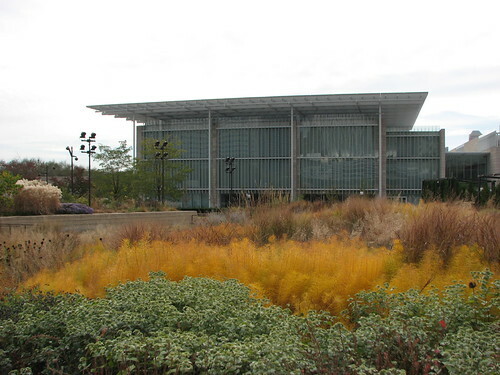 The Art Institute of Chicago is surrounded by several gardens, including the Lurie Garden across the street. 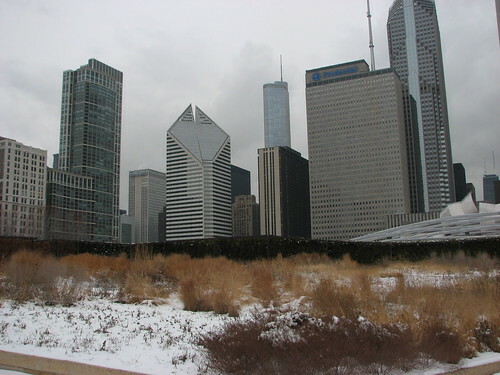 Unfortunately, on a gloomy January day most gardens are hidden by snow and in some cases are closed to the public. 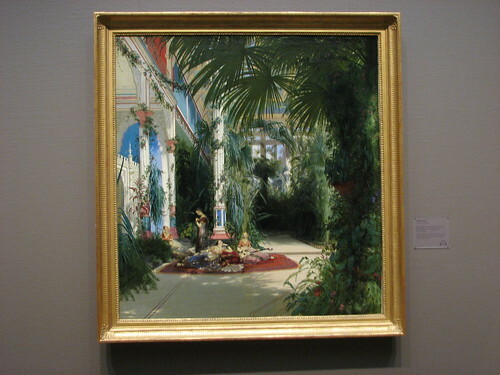 With nowhere else to go, the Art Institute's free admission lured me in and I found myself hunting for gardens indoors instead. 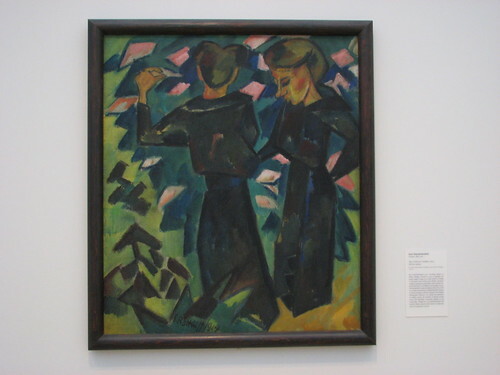 Karl Schmidt-Rottluff, Two Girls in a Garden, 1914. If you squint a bit, you can kind of tell that this is a garden, but it's anyone's guess what plants these might be. I'm going to guess roses. Rhomboidal roses. 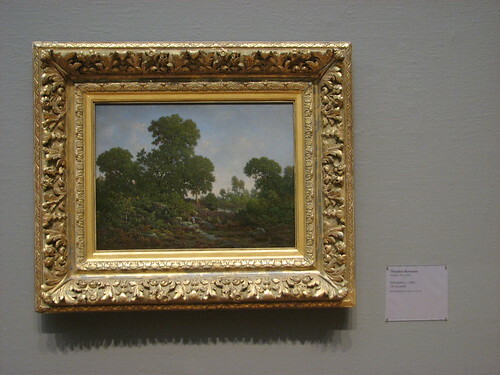 This non-representational style that suggests garden-ness without getting bogged down in the identity of the plants is pretty common throughout the European art I saw. Vincent van Gogh, The Poet's Garden, 1888. This strikes me as more meadow than garden but a lovely spot in any case. While still impressionistic, you feel you can almost identify the various trees and shrubs accurately. Looks like a weeping cherry or mulberry on the right. 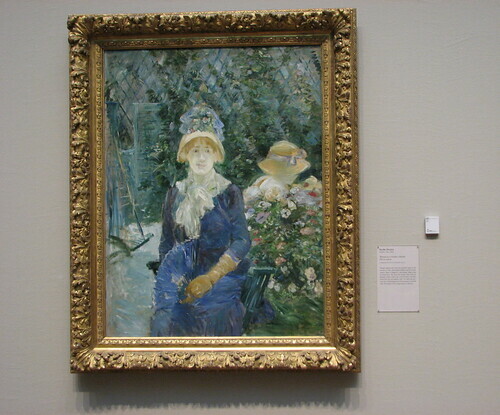 Berthe Morisot, Woman in a Garden, 1882/83. 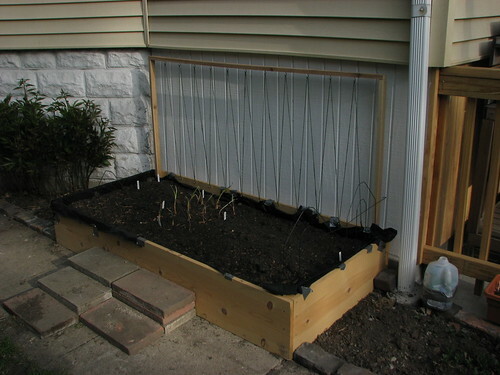 The lady in the picture expects her garden to be a neat, orderly place where she can gossip about the neighbors without having to encounter such unpleasantries as bugs or dirt or hired help. There is, however, a reminder on the left that someone has been laboring off-screen to create this sanctum. That "someone" is not a proper subject for a painting, of course. Or is he? I like this next painting for showing a glimpse behind the scenes, however unrealistic it might be. I hope this nice young man is not a slave. 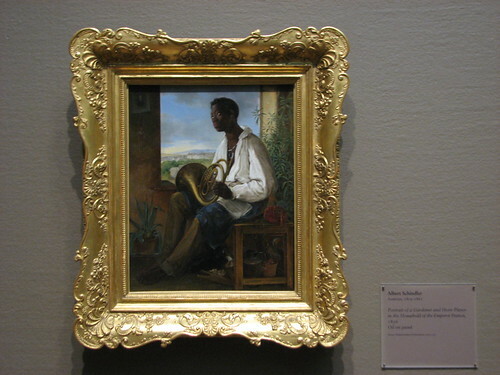 I prefer to think of him as someone who gardens for a fair wage but finds it sometimes tiring, and as you all know, when you're tired from digging in the soil there's nothing more relaxing than playing a ditty on your French horn. 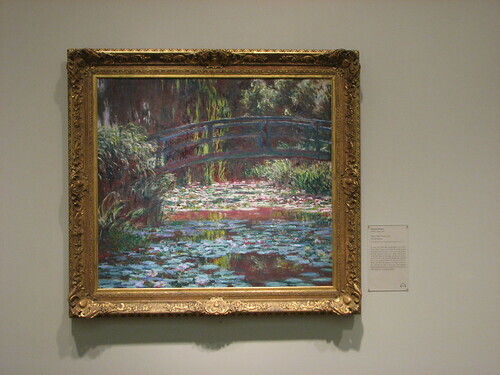 ...and Water Lily Pond (1899), depicting the pond at his famous garden in Giverny. 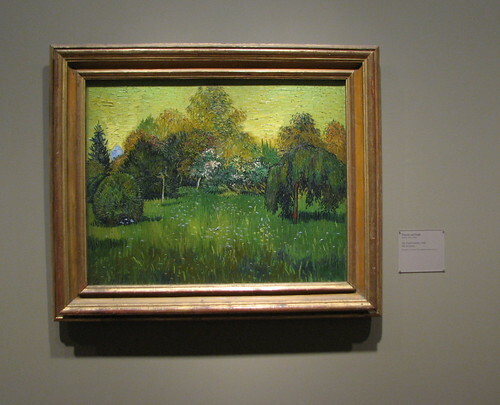 I am an unapologetic fan of Monet and used to have one of his Giverny prints over the desk at my previous job. Monet was obsessive and loved to paint the same scenes over and over, in different seasons and at different times of day. He planted careful gardens just so he could capture them on canvas. 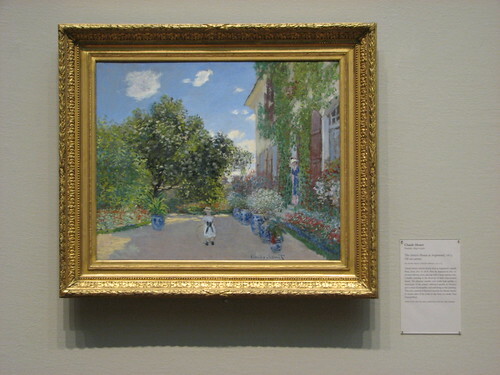 Monet would totally be a garden blogger if he were alive today! Here's a nice indoor garden that I would love to visit. The photo doesn't do it justice; when you see it in person, the colors and lighting draw you in and you know exactly what the room sounds and feels like, what the air temperature is. This painter cared what the plant species were; you can clearly see several distinct species. 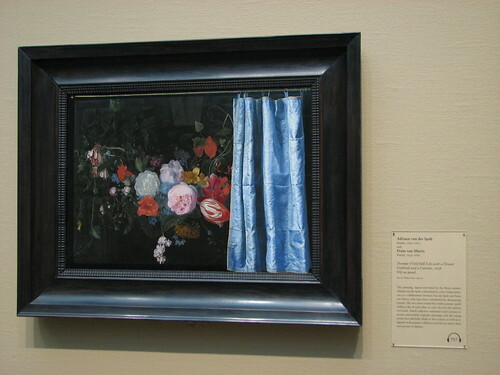 Adriaen van der Spelt and Frans van Mieris, Trompe-l'Oeil Still Life with a Flower Garland and a Curtain, 1658. A still life in a window hardly qualifies as a garden, and the flowers are ridiculous and fluffy and frilly and no self-respecting gardener or florist would put those colors together. I include this painting because of the curtain. It completely blows my mind. This next is the only American artist I include here, and although it's a landscape rather than a garden, I found myself staring at the painting for a long time. 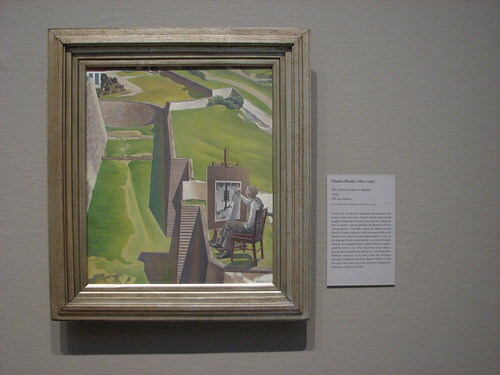 Sheeler's works usually had industrial themes, which makes this landscape especially notable. 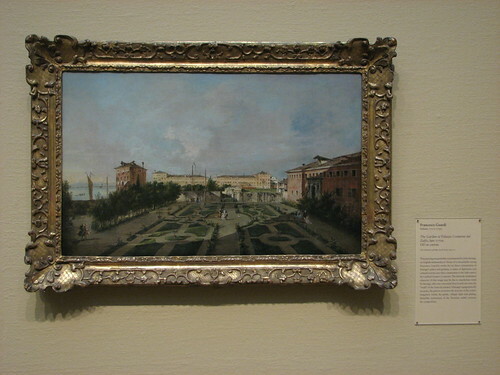 An artist who found beauty in cities and industry, this blocky geometry of plain grass and hardscape is how he perceived "nature." Charles Sheeler, The Artist Looks at Nature, 1943. 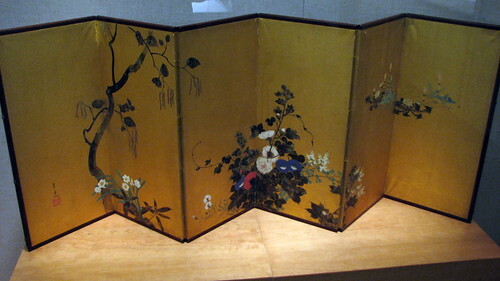 The screen below was likely part of a pair, the "spring/summer" of which has been lost. Again, the plants are stylized but each is an identifiable species. 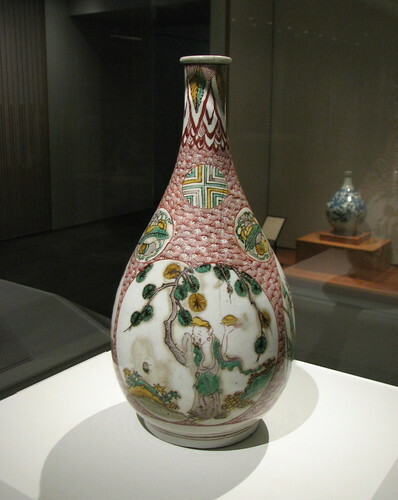 According to the label, time moves right to left; the autumn flowers in the center are bush clover, morning glory, pinks and hibiscus, and the winter flowers including narcissus are on the left. Suzuki Kiitsu, Flowers of Autumn and Winter, 19th c.
Going farther back in time, here's a depiction of a Chinese "garden." Highly stylized, but it really is meant to show a garden setting (note the fence). To understand what a Chinese garden might have actually looked like, you will have to use your imagination. The flowers shown are peonies. From what I saw, the Chinese LOVE peonies. 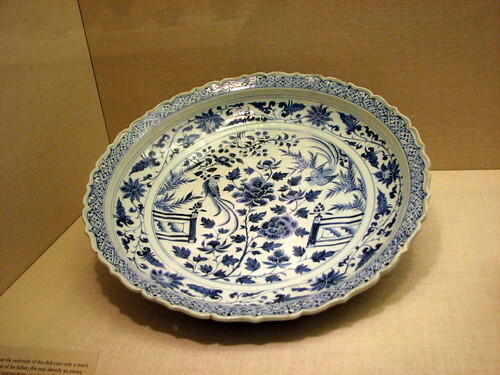 Dish with Long-Tailed Birds in a Garden, Yuan dynasty, 14th c.
We're growing veggies in the soil: Radish Love"
As an avid reader, I'm a big fan of the One Book, One Chicago program. 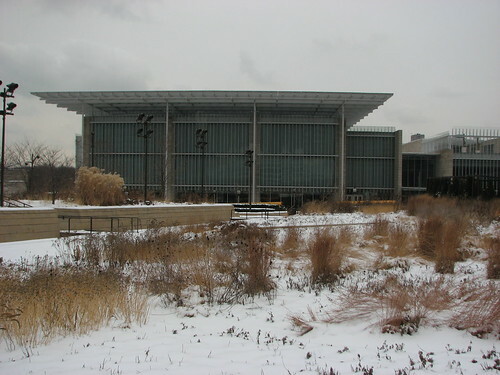 This program from the Chicago Public Library "seeks to cultivate a culture of reading in our city by reinforcing the importance and fun of reading and highlighting the benefits of reading together as a community." People can participate at whatever level makes them happy, from simply reading the selected book to joining in discussion groups. At best, the shared reading experience engages readers in conversation and a sense of community, and at worst people have read a great book that they might not have read otherwise. 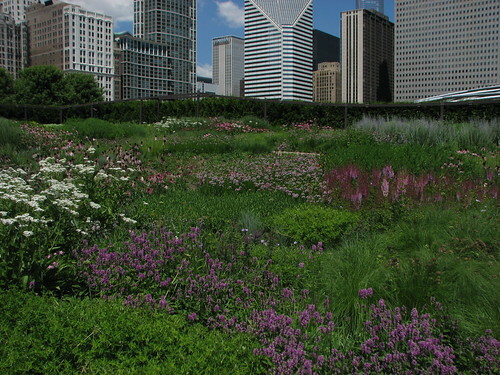 There is another opportunity for fun, learning, and shared experience: One Seed Chicago. 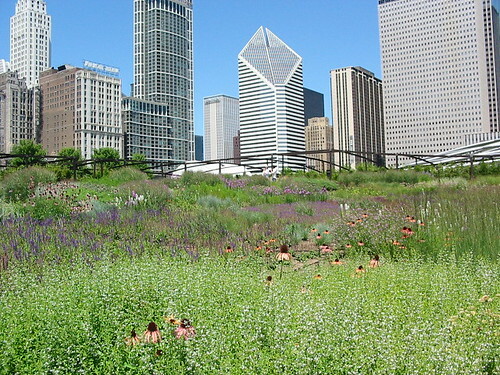 One Seed Chicago is a project of NeighborSpace, the land trust that has made community gardening possible all across the city. 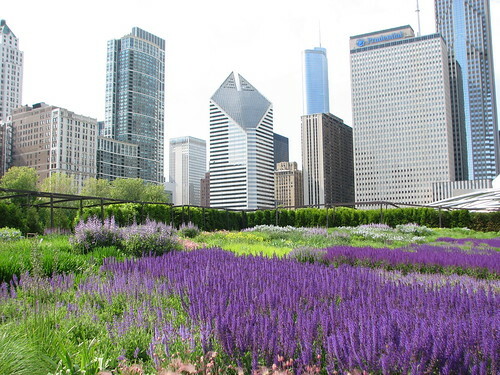 The goal of One Seed Chicago is to engage gardeners and inspire new gardeners by providing seeds for a plant that we can all grow together, in our home gardens, on our balconies, in our community garden plots. In other words, to cultivate a culture - of gardening. 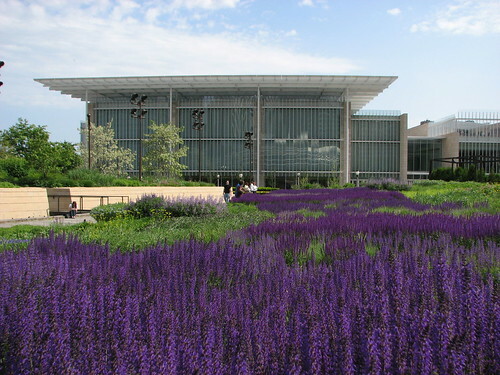 In 2010 three candidate plants--bee balm, nodding onion, and coneflower, all Illinois natives--were put to a vote. 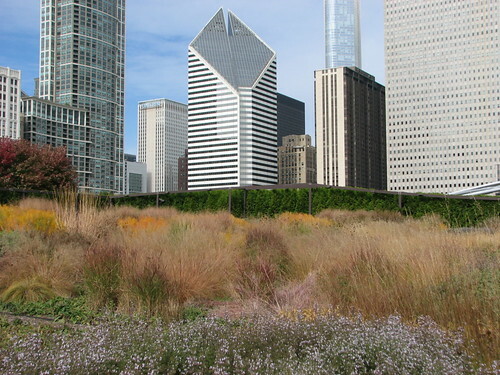 I voted for, and lobbied for, nodding onion, in honor of the connection between Chicago and the stinky oniony leek plant that gave it its name. 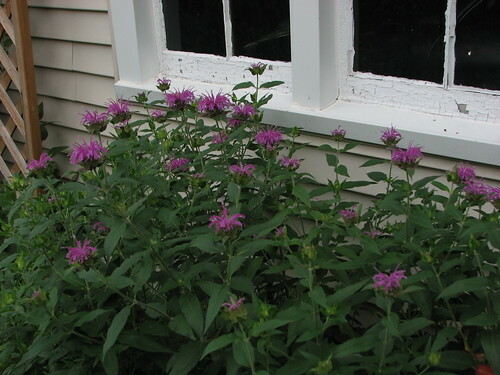 The bee balm won despite my best efforts but that's okay; bee balm is a fantastic plant! This year the candidates are edible plants: radish, eggplant, and Swiss chard. Eggplants and chard are undeniably beautiful plants, but I voted for radishes and I encourage you to as well! Why radishes? Well, because they taste awesome, crispy and peppery. Pull them from the soil, rinse them, and eat them. For greens lovers, the greens are edible, too. Why else? They're so easy! Last year my husband and I built a raised garden and grew food for the first time. It was not 100% successful (I'm looking at you, green peppers!) but the radishes made me feel like a gardening rock star and their success convinced me to keep trying with other plants. 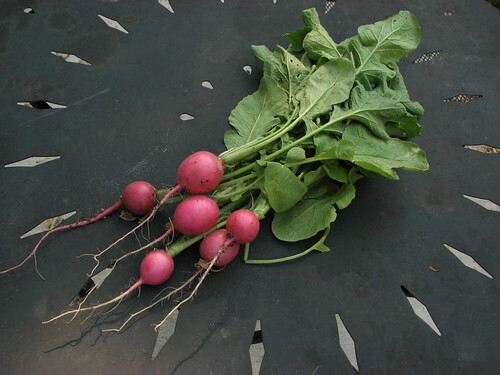 Radishes grow fast, they taste great, and they're so easy even a kid, or a distracted grad student, can grow them. Talk about a great gateway plant for a fledgling gardener. Plus, if you're like me and don't like to cook, radishes are edible right from the ground. And they're pretty! Imagine a whole city growing the same plant and reading the same book. We can't agree on a baseball team or whether Rahm Emanuel is a Chicago resident, but we can unite in these two activities and improve ourselves in the process. So go, vote RADISH now!